Joomla is a comprehensive Content Management System. This tutorial covers the basics of the Joomla Article Manager in Joomla 3. To keep things simple and uncluttered in this tutorial, we are using a new Joomla installation, with the Default English (GB) Sample Data installed. However, if you wish to use an existing website with data already present, this tutorial will still work perfectly well, you will just have some extra categories and articles present. Check out our latest guest post tutorial article at Yireo on Introducing the Joomla! 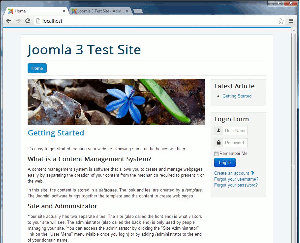 Article Manager in Joomla 3.